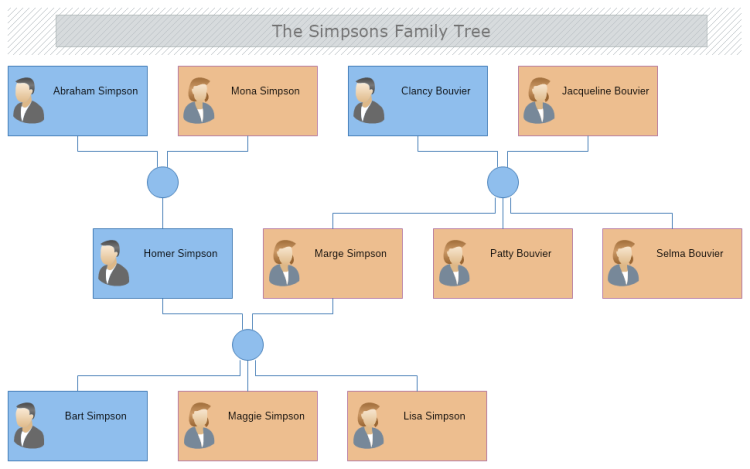 This simple family tree template showing the Simpsons family relationships. The Simpson family are one of the native families in Springfield and the main protagonists of the TV series and the film that bear their name. Download this free family tree template and easily modify it in MyDraw so it meets your requirements.